In accordance with the current data, the volume of gas produced by JSC Ukrgasvydobuvannya in January-March 2019 is 3.87 billion cubic meters. This increase was achieved due to maximization of efforts in all operation areas, in particular, by increasing the number of production stimulation operations up to 249, the extra production volume of which is approximately 100 million cubic meters. In addition, since the beginning of 2019, 19 wells have been drilled and 24 new wells have been put into operation. This result was achieved due to the effective use of the available hydrocarbon resource portfolio, but the majority of fields which produce 95 % of gas are depleted by 87 %. It should be reminded that UGV is actively working on new sites, with 18 special permits obtained during 2016-2018. Unfortunately, the reserves of these sites are small, while UGV is doing everything possible for effective subsoil development under its special permits. It is worth mentioning that UGV discovered six new fields in 2016-2018 following the geological exploration works. 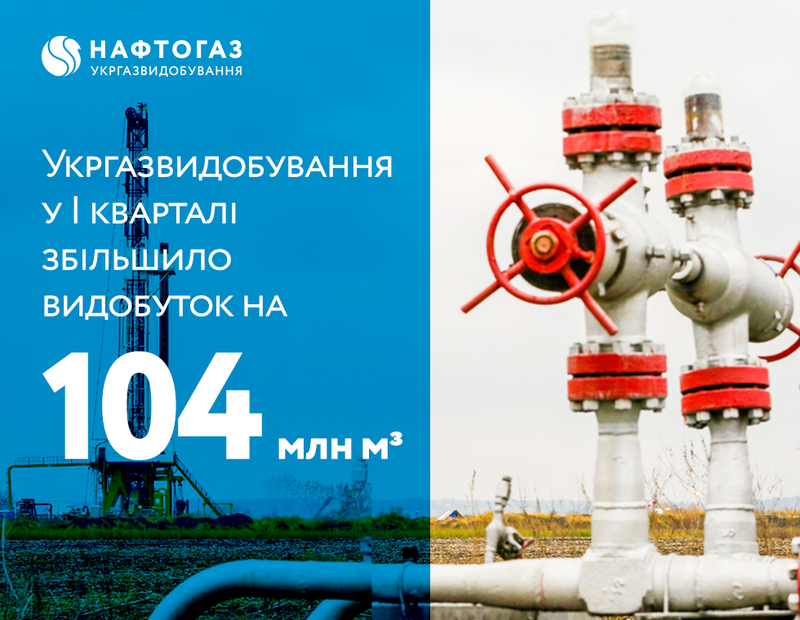 In order to reach significant increase in the resource portfolio, Ukrgasvydobuvannya plans to take an active part in electronic auctions, held by the State Service of Geology and Subsoil of Ukraine, for the new sites.